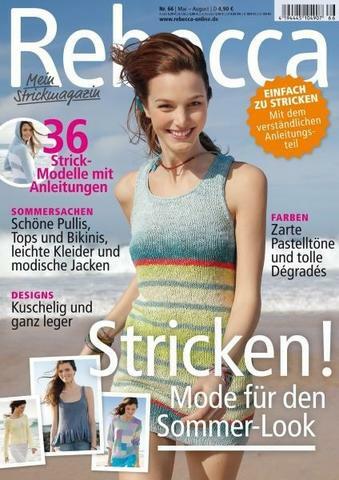 In this issue of Rebecca - My Knitting Magazine you will find 36 knitting instructions for spring and summer. Look forward to great knitting instructions for the beautiful feel-good moments. Beautiful sweaters, jackets, dresses, skirts, tops and bikinis are waiting to be crocheted or crocheted. In this Rebecca edition, you will also find many beautiful crochet models!